What does Unikernal Really Mean? 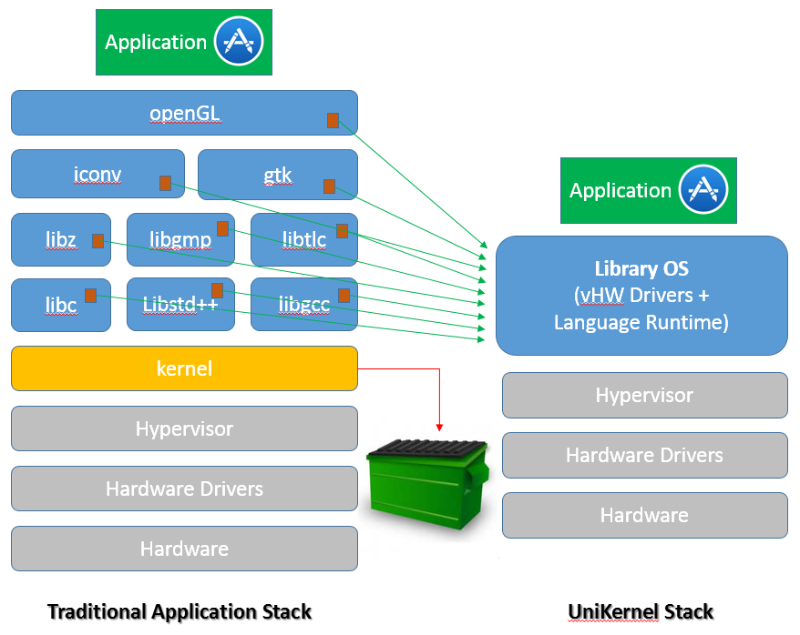 Unikernels are specialized, single address space machine images constructed by using library operating systems. A developer selects, from a modular stack, the minimal set of libraries which correspond to the OS constructs required for their application to run. In Todays world, we isolated our application dependencies using containers. It makes life so easy for developers and system administrations by taking a container image from development to production without many complexities. Even though containers are fast, it needs an underlying operating system. And container itself has OS libraries that are required for the applications.